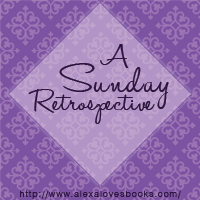 A Sunday Retrospective is inspired by In My Mailbox at The Story Siren and TGIF at GReads!, where I share the books that I've acquired during the week, last week's posts and interesting links. Won from a giveaway hosted by Jess! Thanks! Book Blogger Appreciation Week: Pimp That Book! Here's a great post about books that inspire nostalgia, as shared by Estelle! I did a special guest post about Hong Kong Disneyland on This Happy Place. Everyone needs a vacation - Erin Bowman shares why on Publishing Crawl. What's your take on this debate? Critical vs. Popular up on Publishing Crawl. Victoria Schwab is seriously awesome, and this post on relationships in books proves it. Divergent might become a movie - congratulations Veronica Roth! Do you listen to anything while writing? Leigh Bardugo shares about this on Publishing Crawl. Witches and wizards, from page to screen, will always be cooler than zombies. I guest posted about them on Reading in Winter! On Literary Exploration, Anna writes about how she balances blogging with the rest of her life! I've seen this book a lot in the past few weeks! It sounds like a great book (although a bit creepy). I love dystopia so I might have to give this a try :) Nice haul! I really like that cover and I know Magan really enjoyed that book! I hope you do too, Alexa! Also the post on Hong Kong Disneyland is AMAZING, I would love to go there. 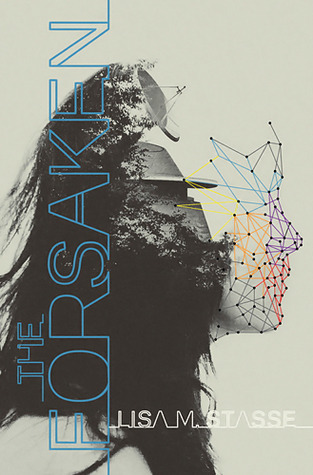 Oooh ... Forsaken! That's such a pretty book! I love the spine -- really stands out. I hope you enjoy The Forsaken! I thought it was a great plot-driven book, even if the characters suffered a little because of it.